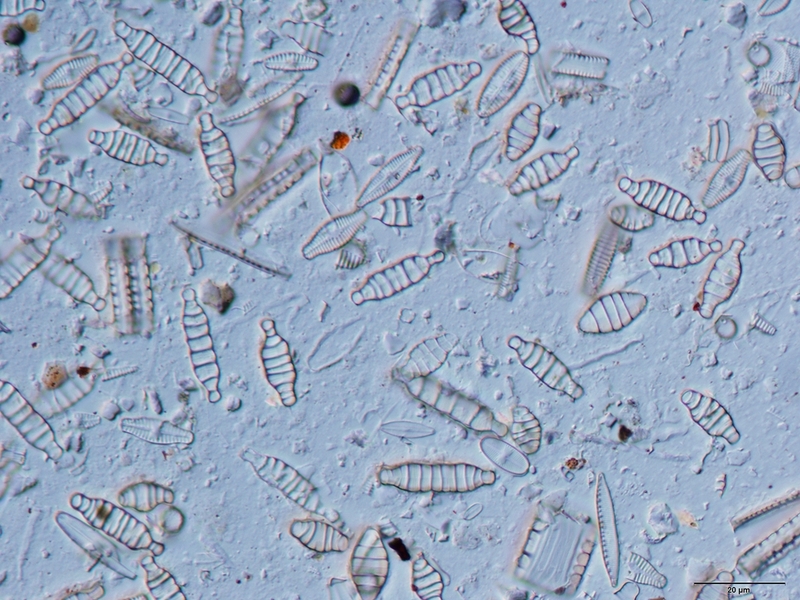 Nearly all diatoms are microscopic - cells range in size from 2 µm to 500 µm, that is, half of a millimeter. The biggest diatoms are about the width of a human hair. Scientists use light microscopes (LM) or scanning electron microscopes (SEM) to view diatoms. When diatoms are viewed with a light microscope, the silica cell walls appear transparent (because we are seeing through glass). When diatoms are viewed with a scanning electron microscope, the cells appear opaque (because we are seeing the surface of the cell with electrons).